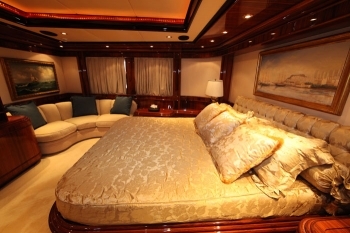 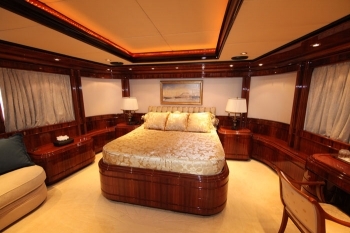 One full beam Master stateroom on the main deck with king size bed, walk-in wardrobe, saloon, office, TV, and jacuzzi/shower. 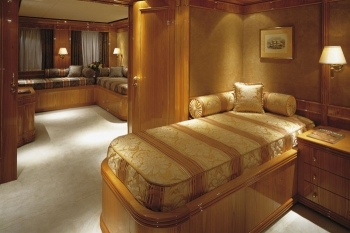 One VIP stateroom on the upper deck, with king size bed, walk-in wardrobe, mini bar/refrigerator,Jacuzzi/shower and private access on the upper deck. 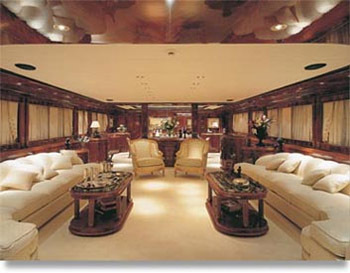 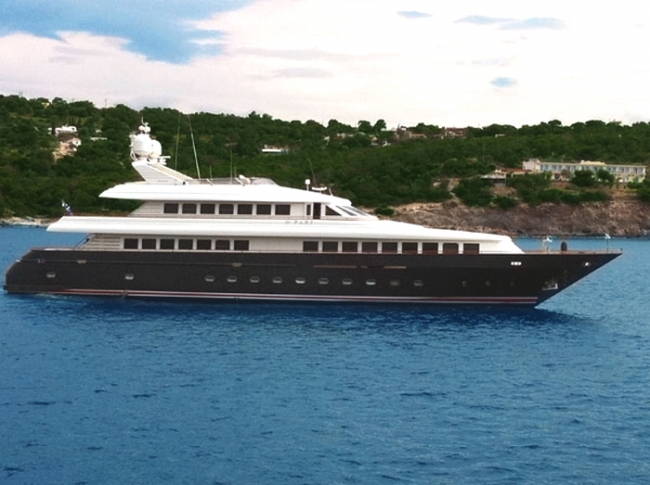 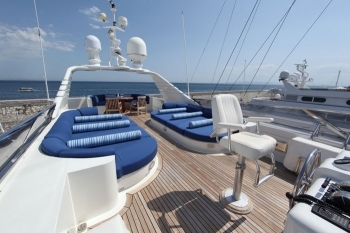 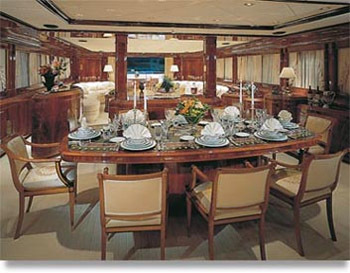 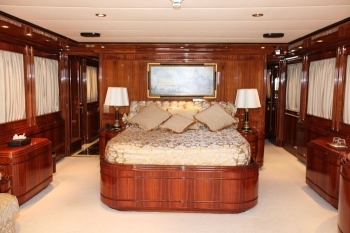 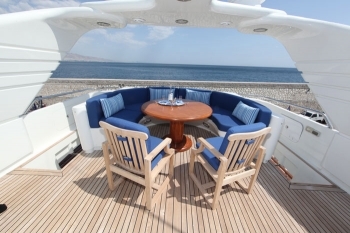 Two Double staterooms on the lower deck forward, with queen size bed, walk-in wardrobe, sofa and Jacuzzi.